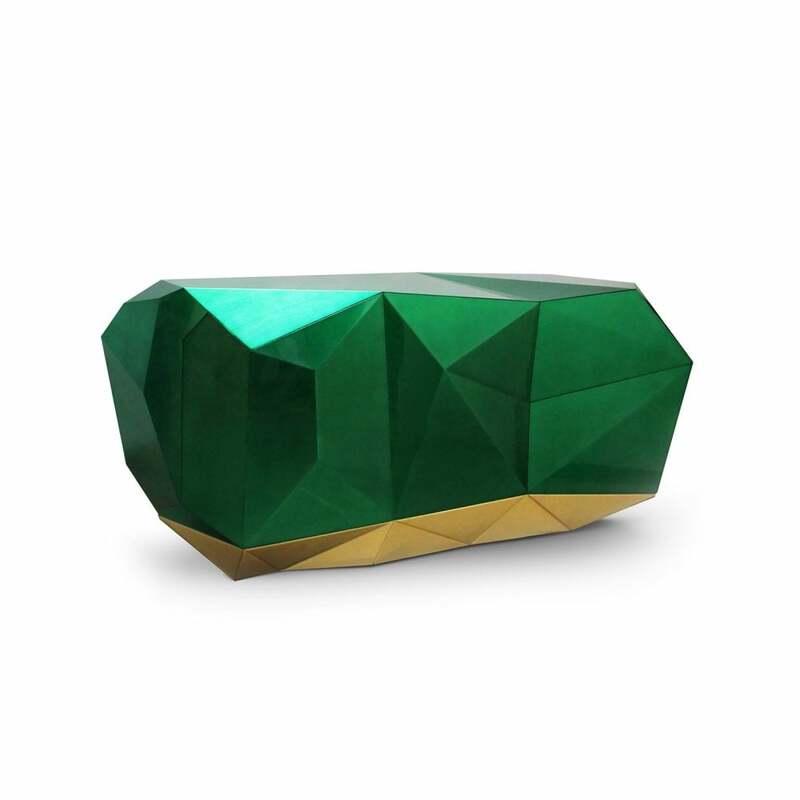 With the style of a precious jewel, the new Diamond sideboard, coloured in green emerald, will make a splash in interior design since it is one of the hottest colour trends for 2013. Like the amethyst Diamond, the new sideboard also features three highly sculptured doors leading to a gold leaf interior with shelving and two drawers. The exterior of this fanciful piece is now presented in silver leaf finished with a luxurious shade of translucent green emerald with high gloss varnish. And instead of the whimsical lion’s head feet, the new diamond presents a base made from mahogany lined with bronze mirror.